Looking for video production templates? We've got you covered! Do I need more than just a video production invoice template? Video production means endless hours shooting and editing and finding exactly the right sounds and music. You put so much into your work, so let us help you get paid faster. The ZipBooks free video production invoice template is easy to use, and we coach you through how to create the best invoice you can for your business. We even have late payment reminders for when your customers inevitably for get to pay you for your hard work. Check out what we have to offer. >What should I include on my video production invoice template? A great selling point about ZipBooks is that you can save default settings like your notes and payment terms for your invoices once you nail down what should be on your invoice. Using ZipBooks for your video production invoice means never forgetting to include critical information. 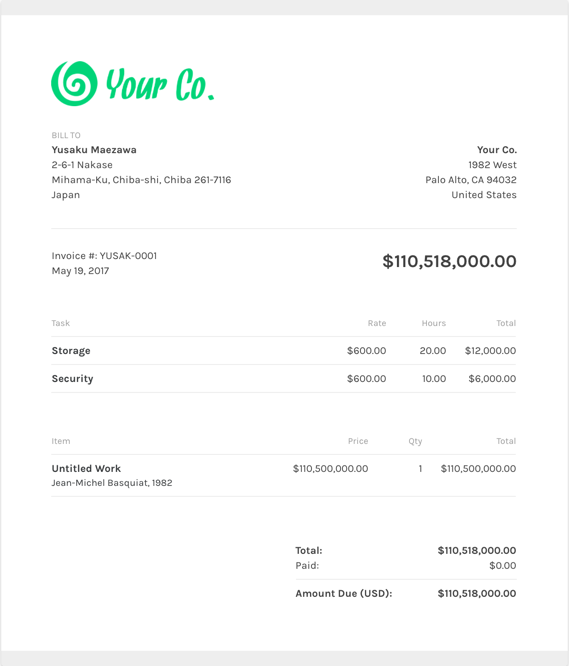 We actually score your invoice based on what information you include, so you’ll be able to leverage the data we’ve collected from tens of thousands of invoices on what things are important to get you paid faster. Why should I use ZipBooks’ video production template to create and send my sample invoice? ZipBooks isn’t going to cut you anything to create and send invoices. We make money when you use things like professional bookkeeping services. There are a lot of bells and whistles that you get with ZipBooks that you aren’t going to get with any other invoice software for free. That might be why you are looking for an invoice template and not invoice software.